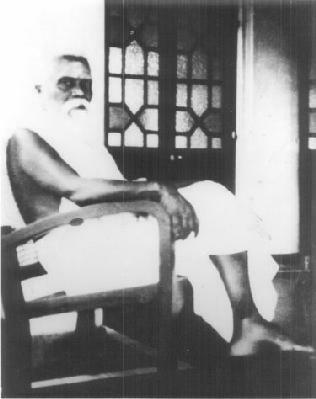 Yogaswami of Jaffna (d. 1964) was a remarkable sage of modern times, whose methods of conveying teachings often shocked those who were accustomed to more conventional teachers. Among his admirers and devotees were not only Sri Lankan Tamils, but also Sri Lankan Sinhalese, Muslim and Christian (Yogaswami himself had studied at St. Patrick's College, Jaffna) seekers as well as seekers from Europe, America and elsewhere. The ochre-clad foreign friend stood at the Jaffna railway station, crest-fallen and care-worn, waiting for the Colombo-bound train when the stranger spoke to him. He was on his way back home, disappointed after a futile search for the guru he sought for spiritual enlightenment. Many long and weary years of roaming in the monasteries of Tibet, hermitages in Nepal, in ashrams and temples of India, and finally in Sri Lanka, have been in vain. He met no one who satisfied his troubled heart. To this verti-clad stranger he confessed his disappointment, as the two waited for the train. "But, you haven't seen Yogaswami of Colombuthurai, have you?" the other inquired. "Oh, they are all humbugs - I've seen so many. They all want disciples with blind devotion, fame and quite a few, even money!" "But you must see Yogaswami before you go, He is the greatest 'humbug' of them all!" was the astounding reply of the stranger. The foreigner was moved and intrigued by this unconventional statement. A small voice rose in his breast instantly -- an insistent whisper which said, "Give him a trial. After all, you have seen many of them. Why not see the greatest of them all before you leave?" The foreigner had to bend down to enter the palm-thatched low-roofed, one-room hut in the compound. As he entered an earthquake greeted him. "Who is that?' the voice bellowed in Tamil. When the visitor said deferentially, "Swami, it is I", giving his name, the voice shouted back in English "Get out! Find out who you are first before you come here!" and added in Tamil "Scram, there's nothing here for you!" This was another mind-shattering blow to my foreign friend. Used as he was to open-arm welcomes from all the holy men he met, this struck his self-esteem and humiliated him. What kind of a swami is this who chased people away so rudely? Angered, he left in a huff, little knowing at the moment that an invisible magnetic force would draw him again and again to the little hut, only to be driven away many times before he was finally permitted to enter and sit before Yogaswami, starting a relationship which he had been seeking for many many years. This anecdote was the writer's first introduction to this noisy 'humbug' whom he saw many times before Swami passed away in 1964. The very first meeting was a mind-boggling experience -- a lesson in profound philosophy. Seated on the bare floor, cross-legged in front of him, I began with the first blunder. "Swami, I am a Sinhalese, Buddhist by conviction." Before I could finish, the voice thundered. "Rubbish -- no Singhalese, no Tamil no, Muslim! They are all one from the same seed. They feel the same hunger, the same anger and pain, make love the same way, have the same noses (pinching his nose and eyes). The same gossiping tongues. All in one, one in all!" Then after a pause, "No Buddhist, no Christian, no Hindu. Deeply religious people have no religion. They belong to no seat, theirs is the religion of the heart!" "But Swami, I've heard all that before. These are old records that won't help in real life. In living I need some meat," I ventured baldly, loudly earnestly clenching my fists, "Please tell me how to live better!" "Don't do anything to live. Live! Go learn from the book of life and work. By work you will rise. Get up!" His hand came up suddenly, imperiously ending the interview. "Go, be like a lion! Don't be afraid!" To many, Yogaswami was what they expected and wanted him to be. To Hindus he was one of them who recited the Puranas and Hindu scriptures. To Christians he sang excerpts from the Bible and the Gospels; to the Muslims he quoted from the Quran. Nearly all of them went to see him with pre-conceived notions, moulded by their upbringing, education and religion, indoctrinated by parents and teachers to child. They saw in him their own religious self-image They came to him for favors, blessings and spiritual aid to get over their mundane problems. Some yearned for magic and miracles to bolster their weak faith. They all professed to know him. They knew everything about Yogaswami, and yet knew nothing. But to a few, perhaps a handful -- the writer knew of a group among whom were three foreigners, two Singhalese and two Tamils: a mixed bag of Christians, Hindus and Buddhists - he was a different personality, or rather a 'no-personality.' To them he stood beyond all classification, a living paradox in mortal flesh. In their eyes, he was a true iconoclast who blasted all beliefs and concepts, whether imaged learned or acquired, shattering their images of themselves, both mental and physical, to smithereens! He soared beyond dogma and doctrine, above both sound and silence! Their meetings were replete with 'Get out' 'Nothing here for you' 'Find out for yourselves,' Go into the open' 'Die to yourselves and live' etc. No ego-flattering to fit into one's own denomination. He led them lovingly, at times like a thoughtful father, at times a stern master - never softly - to the pinnacle of self knowledge and then leaving them there to take the final plunge, by themselves across the abyss to the Unknown to that boundary-less land were all boundaries meet and disappear, in which all conditioned concepts and the thinker are no more. Beyond caste creed and community, and on return to terra firma, to take these perplexing diversities and differences of life in one understanding embrace with open arms. This was the Yogaswami these few saw, always seeing and living in the unifying cradle seat of life from which all the differentiations and divisions accruing from the ego-force of actor, acting and action. He dispensed love and wisdom to all, sometimes the sweet center coated with quinine to some. It used to be said that such a pill was given to a prominent person in the country who waited to see Swami accompanied by a Government minister. Seated on a bare mat this person had asked Swami for a recipe to 'get peace of mind stating that although he did half an hour of meditation daily, peace of mind was something far away from him. Promptly, Yogaswami had angered, saying "Very easy. You've only to give up two things" ticking off on his fingers. "First politics, second boys!" Both remained tongue-tied for moment, before they left hurriedly! On another occasion a lawyer's wife from a town outside Colombo called on his hut to obtain his blessings before she embarked on a long pilgrimage. Loyally devoted, she had a habit of doing this always, and she enjoyed the reputation of being very religious. Prostrating , she said, within the earshot of others, "Swami I seek your Grace. I am about to go to Kataragama." Swami had looked at her penetratingly for moment before he beckoned her and whispered to her ear, "What, Kataragama? Only rogues go to Kataragama!" The old lady had nearly fainted aghast. And she immediately placed her palm across her mouth as if to say that a Swami of all people, shouldn't say such blasphemy! Perhaps, the sage has seen through her saintly ego, or he may have been conveying a profound metaphysical truth with this utterance. 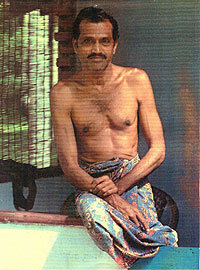 Often some people in Jaffna said that Swami only entertained the wealthy and those in high position. We once posed this question to him by asking, "Swami, why is it that you are called the rich man's swami?' He smiled heartily before he replied, "It is only the rich that needs me, not the poor." Oscar Wilde's saying, "Beautiful sins, like beautiful things, are the privilege of the rich", flashed across my mind. Masters of Zen and other great spiritual teachers, like Mare and Gurdjieff, deliberately created weird and absurd situations to edify and instruct disciples. Two such ploys, as told to me by one of Swami's closest devotees, Mr. Thurairajasingham of Colombuthurai, are worth recounting here. A burly man had once come to Swami and confessed that he was in search of God and would like to know how to find Him. Swami told him that it was very easy. All he had to do was to give up his job and other money-making pursuits and to diligently lead an ascetic life. Soon after, this man had come back in great anger and accused Swami of giving him wrong advice and misleading him. Not only had he lost the job but now his wife who was giving him a harrowing time was now threatening to leave him. Whereupon he started to strike Swami, who was lying down, with his heavy hands. Swami yelled so loud that Mr. Thurairajasingham, accompanied by a neighbor, rushed in to see the fantastic scene of Swami being struck, yelling, and the bulky man on top of him uttering expletives. Mr. Thurairajasingham tried hard to pull the man away but it was impossible. Just then the neighbor spoke and told the man that if Swami has done such a wrong thing as giving him incorrect advice, Swami deserved all what he got and that he should be given some more. In a moment the assailant stopped, hearing these words, taken aback and before he could recover, the neighbor continued. "Ah I see you have given him enough, very good!" And gently but he firmly helped the attacker to stand up. Swami sat up immediately and guffawed loudly, his whole body shaking, convulsed with laughter. Pointing at the neighbor, he told my friend Thurairajasingham, "See this man! He was able to do what you with all your education and degrees failed to accomplish!" At another time, Swami had hastily summoned Thurairajasingham and asked him to come. Swami sat in the front with Thurai at the wheel, bundling in another who was at the back just then. 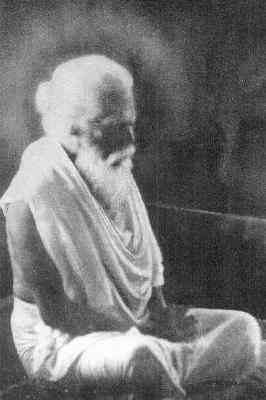 This person was in the habit of coming to sit with Swami often, particularly when there was a crowd, giving the impression of a sincere devotee. On this occasion with this devotee in the back seat Swami had asked Thurai to drive alone through some of the winding streets of Jaffna. The time was about 5 pm, the hour offices close and roads are jammed with traffic taking workers home. Suddenly, Swami directed the car into a one-way street from the wrong end. All hell broke loose - buses and cars halted, tooting horns, drivers abusive, with Swami in Thurai's car, trying to sneak through the oncoming traffic. He once said to me that the greatest scripture one could learn from is LIFE…"Learn from the book of Life. Watch yourselves and your reactions to externals. Don't suppress anything—go into every situation that strikes your path and watch mindfully, in joy or in sorrow, in anger or in love ... then one day, quite suddenly, unexpectedly, the 'Watcher' who is watching all this and getting involved in All this will be SEEN!" Yogaswami had four sayings, which he repeated to most people who came to see him. They were known as the Maha Vakyas. These were interpreted by many in different ways according to each one's level of understanding, because they contained truths at various levels of application—some very profound on the metaphysical level. 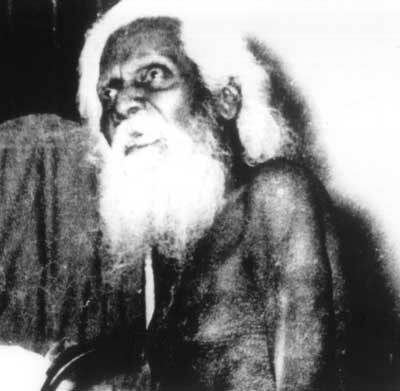 Susunga Weerapperuma in his little booklet Homage to Yogaswami (Poets & Painters Press, London, 1970) records his mind-shattering meeting with Swami and pays a Great Tribute to this sage of the North. In it he tells the story of a man who walked into the hut, lit a joss stick, offered a few jasmine flowers and prostrated himself before Swami yelled, "Bloody fool, this is not an altar! Are you worshipping me or are you worshipping yourself? Why worship another?" "Nobody believes that I am a fool. I AM A FOOL—a different sort of fool, a fool who willingly admits the fact of his foolishness." This is a short pen-picture of this 'holy humbug' who was many things to many who gave direction and changed the lives of many who came in contact with him. To some he helped to make their faith in the religion they professed, stronger; to others he taught without teaching, leading them to pinnacles of knowledge by true seeing, to see life as it IS, not from any opinionated angle. In a sense be was a true humbug who played the role of a humbug, consciously, when he appeared a. a Hindu, Christian, Buddhist, or even as a Tamil—for he was beyond all these, knowing no fences of race or religion. An extraordinary human being as paradoxical and perplexing as Life itself, and taking him for any one thing, and pretending to know him, is just humbugging ourselves.